The Quickie Telescopic Window Washer will get your interior and exterior windows looking clean and clear once again. 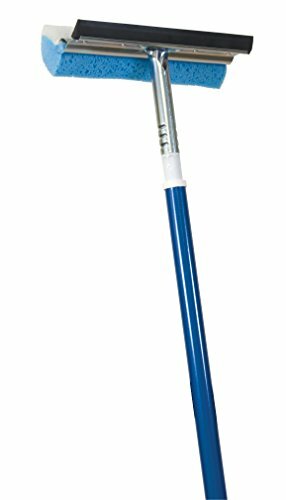 The squeegee's telescopic handle extends up to 7.5-feet and comes with a convenient hang-up feature. Features a powder coated steel handle and 12-inch rubber squeegee blade. Comes in a 2-pack. Quickie designs, manufactures and distributes over 300 cleaning products for traditional in-home use as well as contractor and DIY grade applications. The product line includes mops, brooms, dusters, dustpans, brushes, buckets and other supplies.